With new technologies, new channels, even entire new industries all popping up overnight, we have the talent to develop award-winning digital experiences that cut through the clutter and stand out from the noise. Today’s digital marketplace is fierce and growing by the nanosecond. While bringing plenty of fresh challenges for brands, these challenges also open up a vast new world of opportunities for strategic growth. Like smarter ways of connecting with customers. New chances to add exciting dimensions to your offering. And a monumental platform to get your brand’s voice heard. We have the consumer insight, innovative drive and technical know-how to ensure brands realize the full power of digital, and earn customers’ attention online. 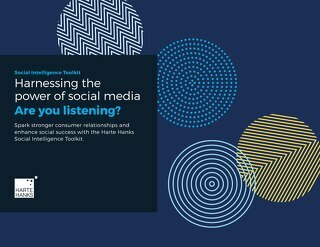 Whether you want to enhance your user experience (UX), strengthen your social media or help reach and convert high-performing new audiences, we’ve got you covered. It can be hard to know where to start with digital. Innovators and problem solvers, our strategists are ready to take on any challenge and create a robust custom strategy to give you a fresh perspective on opportunities and help your business thrive. One of the most powerful marketing tools out there, social media is where conversations happen. From robust social strategy development to advanced social intelligence, campaigns and community management, we’ll make sure your brand shines on every channel. Everyone loves a great experience. And effective user experience is more than just adding buttons and making interfaces look good. With our deep understanding of consumer behaviors, we create experiences that drive all the right clicks and are enjoyed every time. Put search at the heart of your business, with a little help from our experts. Whether you are trying to earn or purchase traffic efforts, we’ll decode and deliver search solutions that spike visability where you want to see it the most, and put your business at the forefront of what people are searching for. A LOCAL BANK NEEDED A MONEY-SAVVY, EXPANSIVE DIGITAL OFFERING. FIND OUT HOW WE DID IT. Retain current customers, and also attract new ones. That’s what our client needed to do. And without the marketing budget of larger banks, the solution needed to be smart and cost-effective. We knew digital was the answer. See what we achieved in one of the quickest turnarounds in our history. "Harnessing the power of social media." SEE HOW WE CAN SOLVE YOUR DIGITAL CHALLENGES.